"Your body likes to grow things," Dr. Zamskaya told me a few years back, in a simpler time when my main health concerns were moles and freckles and seborrheic keratosis, a.k.a. geriatric warts, though I prefer "barnacles." And, unfortunately, my body continued to grow things during the clinical drug trial I've been on for the past eight weeks. 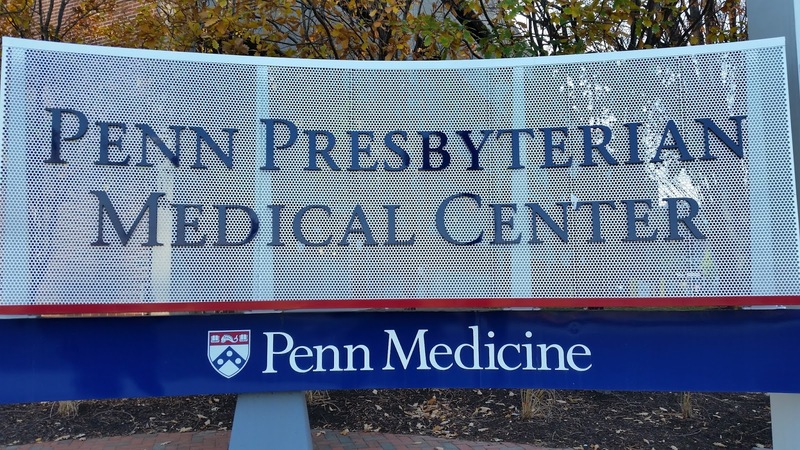 So Jacqueline and I will stop trekking to Philadelphia and start looking for another trial. Or something. The news wasn't as crushing as it might have been. For about five minutes the day after Christmas, my most annoying recent symptom -- a near-constant sensation of a full stomach -- went away. If anything, the symptoms were backtracking and I felt pretty much the way I did in April and May, before my diagnosis. We could very well have been headed to Philadelphia with very high hopes. But on Dec. 27, I woke up with a painful stiff neck. At first I had no reason to believe it was due to anything other than bad posture as I watched the Holiday Bowl in bed the night before (my new fondness for football has to rank among the oddest symptoms of any ailment), but that kind of stiff neck usually goes away in three or four days. This one didn't. My wife the Prophet of Doom suspected a new metastatic bone lesion from the start, and she was apparently right. 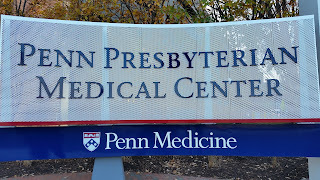 We had expected to learn the verdict on the Philadelphia experiment during today's appointment at Penn Presbyterian, but the neck pain sent me to Sibley Memorial in Washington for a spine MRI the day before, and we got spoiled. The scan found one new lesion, high enough on the spine to be a prime suspect. By the way, I do not recommend being forced to lie still on a tiny pillow for two hours in an MRI machine when the problem in the first place is an inability to get comfortable in any position. I toss and turn every five to 10 seconds in bed even when I can choose any position and any combination of pillows I like, so a couple of hours frozen in somebody else's choice of position is no less than torture. It's still possible that this is a good old-fashioned stiff neck, but we'll get the radiation-oncology team to zap the new lesion ASAP rather than wait around for it to heal itself. And, just to be sure I don't get my hopes up about feeling A-OK after that zapping, the gods gave me some new pain overnight, the kind of pain you'd expect to feel in the liver region if you have a gigantic liver tumor. But we're not giving up. Georgetown has some promising clinical trials coming soon, and NIH isn't too much farther up Wisconsin Avenue. Thanks for your post, Bill. Sorry about the continued barnacles. Hope the zapping does the trick for your neck. All the same good wishes as ever in crappy circumstances. Bill and Jacqueline, please let us know if there is anything we can do to be helpful. At least you have some beautiful new windows!